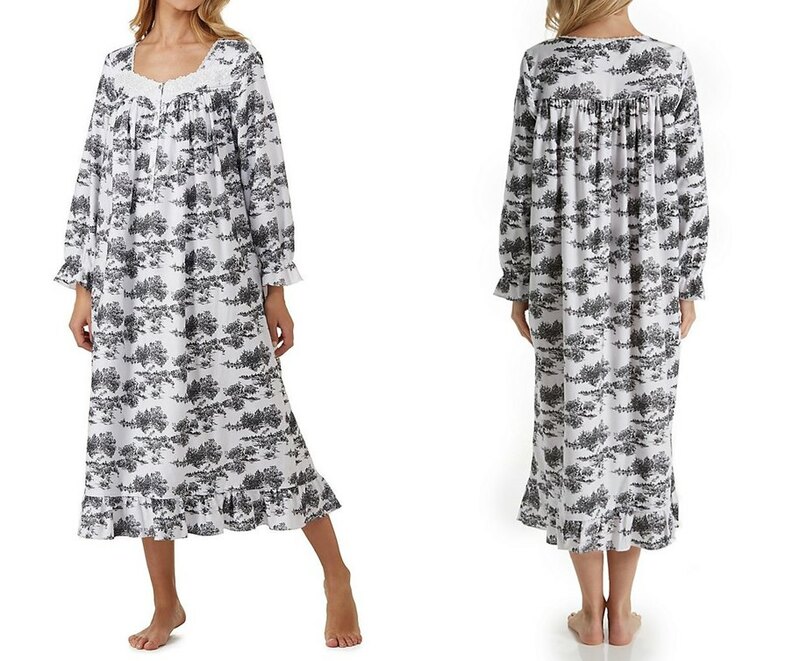 Cotton Nightdress - Ladies, it’s time to celebrate! With so many exciting styles to choose from we’re revealing the ultimate combination: how to wear the beloved comfy cotton nightgown and actually look good while doing it. Before you can find a nightie for your shape you have to get familiar, and honest, about what your body type actually is. Knowing what your own unique shape is will help with your options when looking for a cotton nightdress that suits your silhouette. Cotton is a super comfortable natural fiber that offers "breathability" - a great choice for those with sensitive skin. Which parts of your body do you like best? 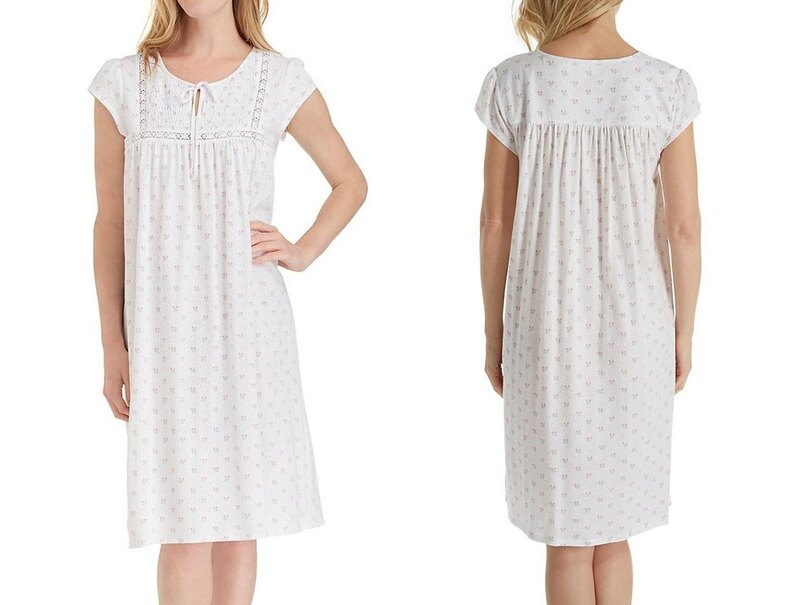 Everyone has areas of their body that they like to show off, so look for nightdresses to highlight those spots. Try a cotton nightie in a short and sassy length to show off toned legs. Look for a sleeveless style to accentuate your arms. Try a scoop neck or sweetheart cut to reveal your collarbones and décolletage, or look for a button front style to let great cleavage peek out. 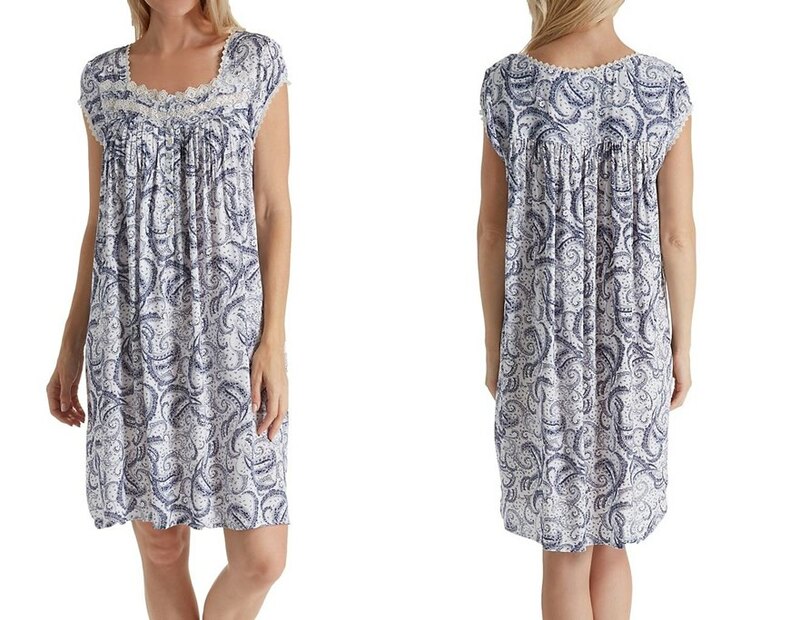 Whatever your best features are, let your nightgown show them off. 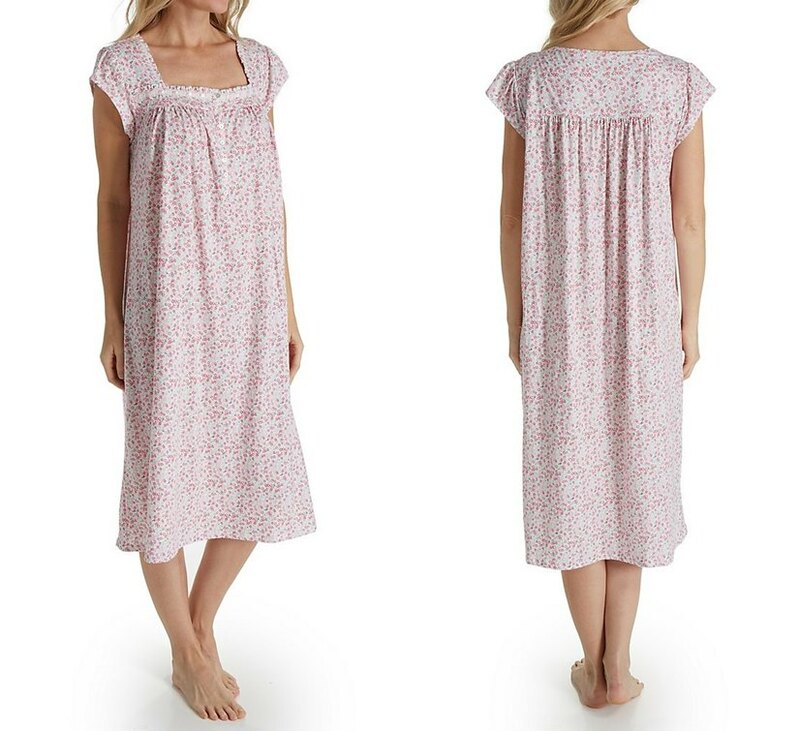 Use your cotton nightdress to magically mask your least favorite areas while strategically playing up your best areas. A soft midsection disappears under an empire waist. Wide hips are hidden under a swingy style. Look for details that distract from the areas you want to cover up. A white-on-white embroidery scheme is elegant and sophisticated, while bolder color combinations excite the eye and provide a refreshing change from the ordinary intimate apparel. Printed cotton is great for tricking the eye and keeping it skimming across the body instead of focusing in on flaws. Dark colors will do a better job of slimming and smoothing your figure, while light shades and brights will enhance and show off the areas you want to show off. Cotton is such a versatile fabric that there’s something to suit every figure. Choose stretch jersey to hug your curves and show off your shape, opt for a crisp cotton for a nightdress that floats over your figure and masks problem areas, or opt for an ultra soft combed cotton for a universally flattering look and extra comfy feel. Lots of ruffles, ribbons and bows around the neckline and sleeves will balance out wider hips. A smocked or ruffled bodice boosts a small bust. Vertical details will help elongate a petite frame. And ribbons or details around the waist help define your figure and create hourglass curves, something that makes any woman’s body look fantastic. 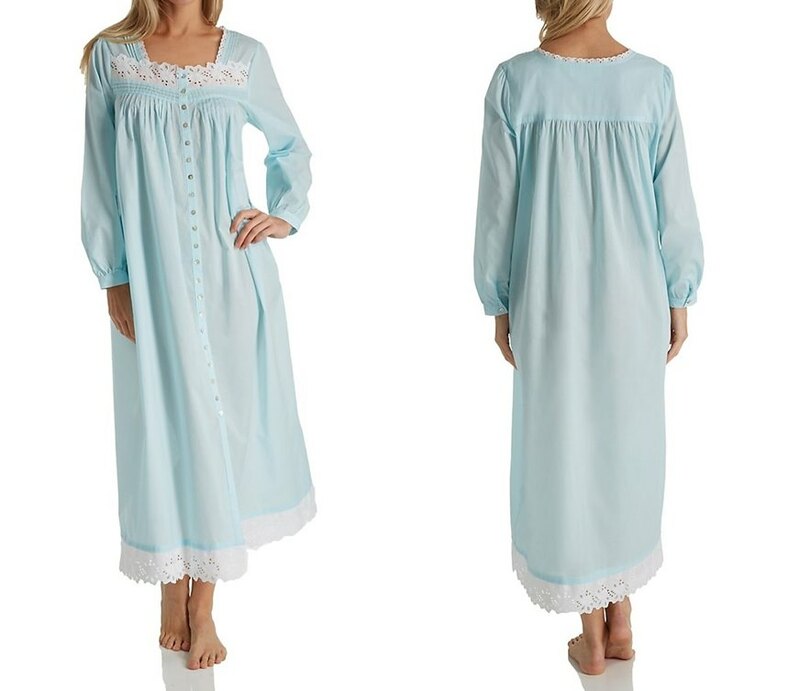 Shop wisely by choosing cotton nightgowns that are just as fashionable as they are functional, and will make your shape look its very best.